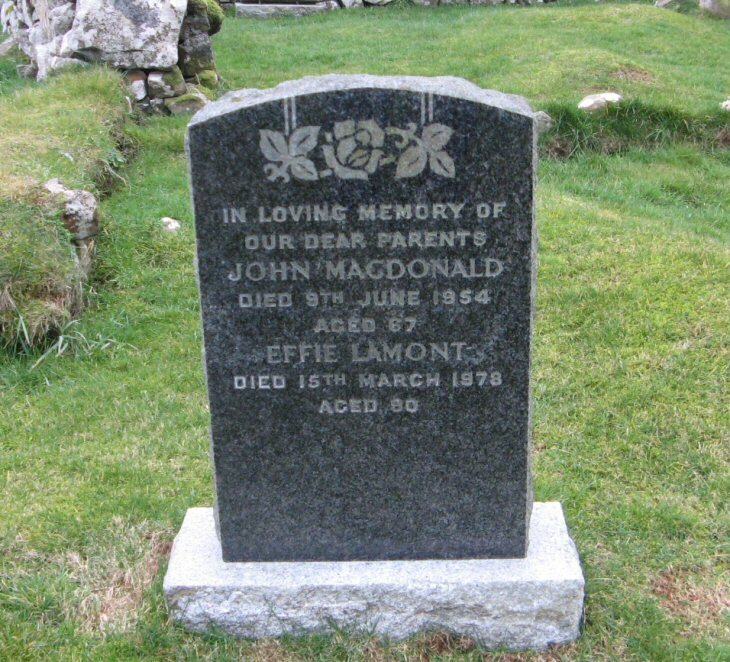 Skye Gravestones | John & Effie (Lamont) Macdonald. John & Effie (Lamont) Macdonald. In loving memory of/our dear parents/JOHN MACDONALD/died 9th June 1954/aged 67/EFFIE LAMONT/died 15th March 1978/aged 90.